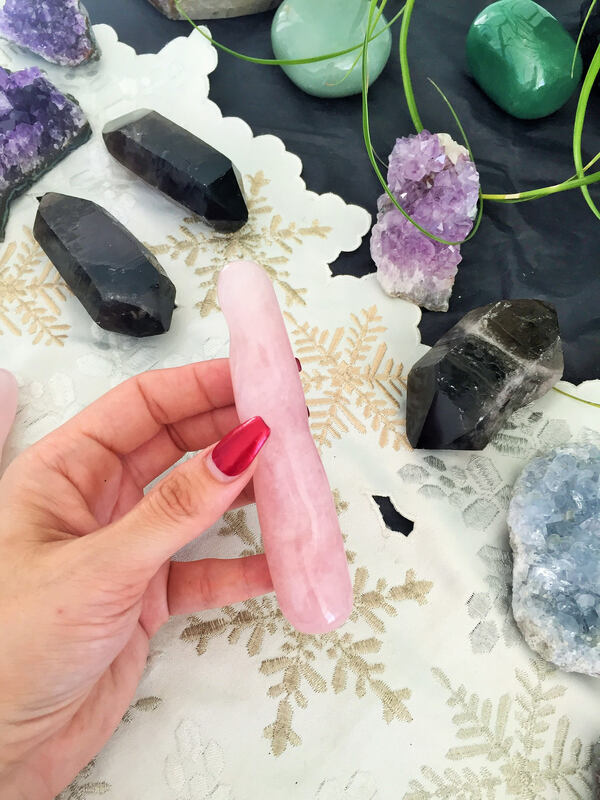 Receive a luxurious twisted Rose Quartz crystal wand. Both ends are rounded to go with the carved twisted shape. Your new crystal yoni wand will come to you fully cleansed and sizzling with juicy, sensual, sacred healing energy, and infused with the intention that your new wand will bring you deep healing on every level. You will receive ONE Crystal Yoni as seen in the pictures. 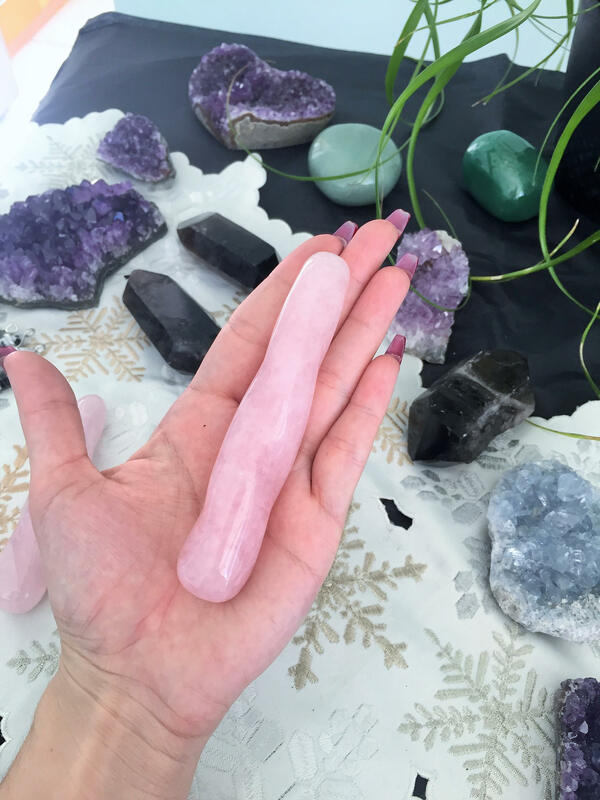 These luxurious yoni wands are made of pink rose quartz. 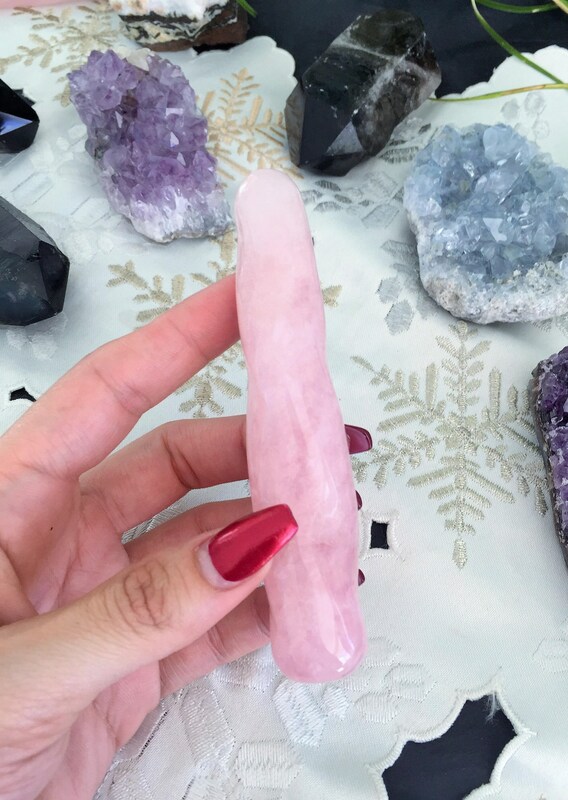 This brand new twisted Rose Quartz wand is approximately 4.5"-5" long. Both ends are rounded to go with the carved twisted shape. Pleasure wands are made for conscious goddesses who want to honor and explore their sexuality, while healing from the inside out through the act of sacred self pleasure.